A new study reveals a link between some very common chemicals in household and beauty products and early puberty in girls. Puberty is an awkward time for girls as they learn to navigate new feelings and bodily functions while trying to ignore the sudden appearance of acne, braces, and body hair. To make matters worse, young girls who hit puberty first could be at risk for more than just confusion and an embarrassing period leak. A newly-published study focused on the effects certain chemicals have on girls’ bodies. Dr. Kim Harley, the lead researcher, explained in a statement that “Earlier puberty in girls increases their risk of mental health problems and risk-taking behavior as teenagers and increases their risk of breast and ovarian cancer over the long-term, so this is an important issue to address." In her study, which was published Tuesday in the Human Reproduction journal, Harley–an Associate Professor in Public Health at the University of California, Berkeley–and her team followed 338 children from their birth through adolescence, monitoring when individuals went through puberty and what chemicals were found in their urine at different stages. The researchers first tested the children’s mothers, who were part of the Center for the Health Assessment of Mothers and Children of Salinas (CHAMACOS) study from 1999-2000, when they were 14 and 27 weeks pregnant. At those times, urine samples were taken to record the levels of phthalates, parabens, and phenols–three common chemicals in many household and personal care products. The chemicals are so common, in fact, that they can be found in everything from children's toys to dish-washing soap and moisturizers. When the children were 9 years old, the researchers started taking urine samples from the two groups, 179 girls and 159 boys, and assessing their physical development. They continued testing like this every nine months until the children reached 13. All three of the chemicals tested for were in 90% of urine samples, while a fourth chemical, triclosan, appeared in 73% of the pregnant women’s urine and 69% of the 9-year-olds’. 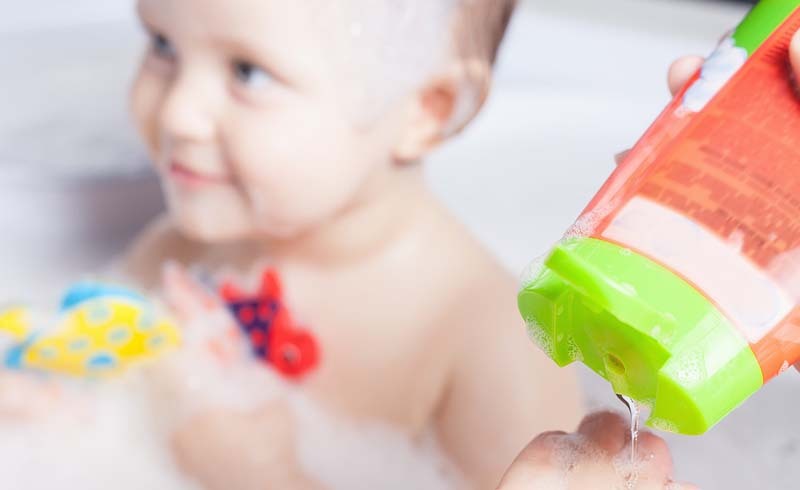 The findings indicated that when the amount of phthalates in the pregnant women’s urine doubled, daughters started developing pubic hair 1.3 months earlier. For triclosan, every doubled amount was linked to an earlier first period by just under a month. 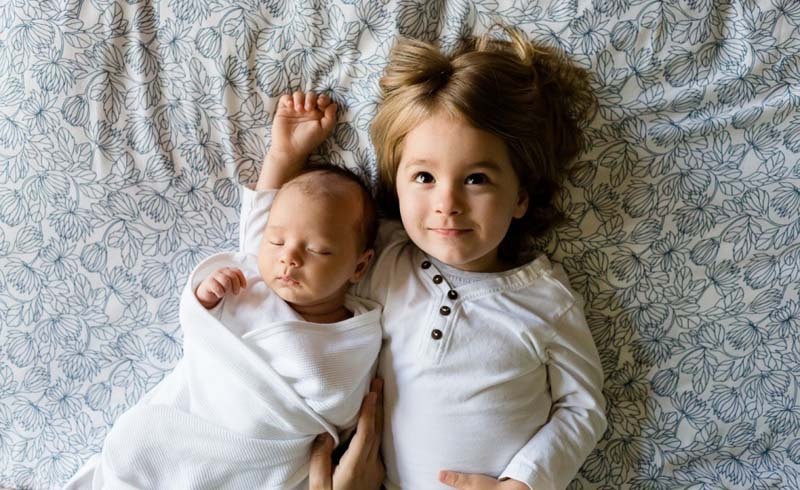 In the 9-year-old girls’ urine tests, researchers found that the level of parabens was connected to both earlier pubic hair growth and the age of their first period, as well as the first signs of breast development. For each doubled amount of that chemical in the girls’ urine, the 9-year-olds experienced those three puberty signs earlier by just under a month. The boys were not affected the same way as the girls in this study, which may be because the hormones involved are different. Dr. Harley explained, "We already suspect that certain chemicals that are widely used in personal care products–like phthalates, parabens and triclosan–are endocrine disruptors. This means that they mimic, block or otherwise interfere with natural hormones in our bodies, such as estrogen. In laboratory studies, these chemicals have been shown to cause earlier puberty in rats, but there are very few studies in humans. Additionally, we know that endocrine disrupting effects are particularly important during specific critical windows of development, such as in the womb or during puberty. This study is important because it is one of the first studies to look at human exposure in the womb and because it gives us a chance to examine exposures both in the womb and at puberty." Triclosan and parabens are commonly used in skin-care products despite also being common skin irritants and two ingredients that many with sensitive skin already keep an eye out for. They’re used to preserve cosmetics, or in triclosan’s case, prevent bacteria from forming in things like soaps, deodorants, toothpastes, and detergents. Phenols are also a disinfectant, while phthalates are typically used to make plastic more flexible. The study’s results show a connection between the chemicals and an earlier puberty, but it’s hard to discern which comes first: the chemicals or puberty. Girls who start to develop sooner, for example, are most likely going to use deodorant before their slower-blooming peers, meaning they’re most likely introducing parabens and phthalates into their bodies. Another limitation of the study is that the group of women the researchers used may have been exposed to higher amounts of pesticides than the average population because they were all living in farm communities. It's unclear how this could have affected results. More frequent urine samples also would have likely helped strengthen the research, as phthalates, parabens, and phenols only stay in your system for 1-2 days after you’re exposed to them. Limitations aside, Dr. Harley’s study is thought provoking when it comes to the products we're willing to expose our bodies to on a daily, or multiple-times-daily, basis. The Centers for Disease Control notes that "phthalate exposure is widespread in the U.S. population," and it found triclosan in 75% of individuals tested. Parabens, too, are widespread in American adults, especially in females–most likely because of the higher use of makeup, hair products, moisturizers, and shaving cream that have parabens in them. Parabens can be found even in your food–"the FDA allows single or multiple parabens to be added to food or food packaging as antimicrobials to prevent food spoilage," according to the CDC. It's clearly worth thinking twice before using the products we've become so accustomed to absentmindedly spraying around the house or lathering all over our bodies. Until scientists are able to figure out the extent in which they may affect the hormonal and reproductive development in girls, you can never be too safe.